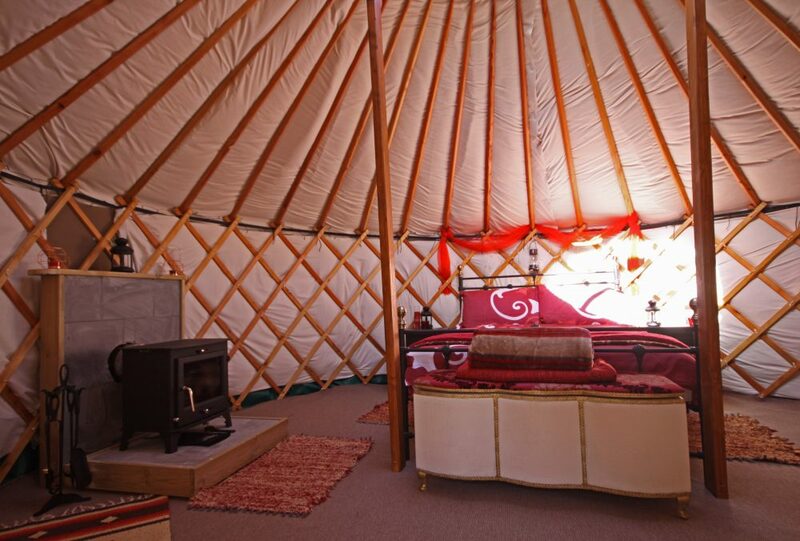 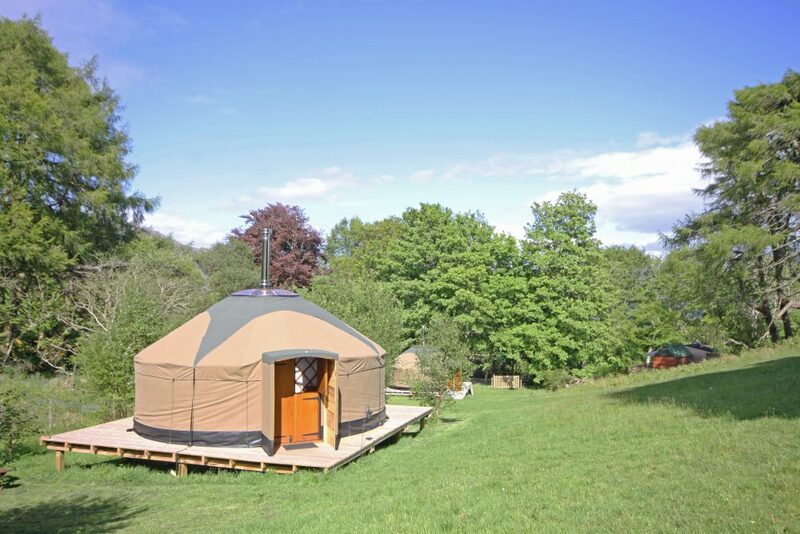 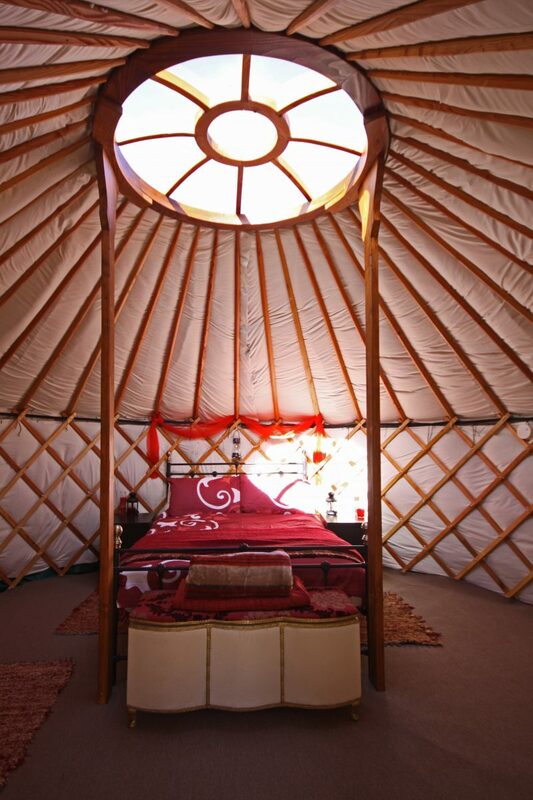 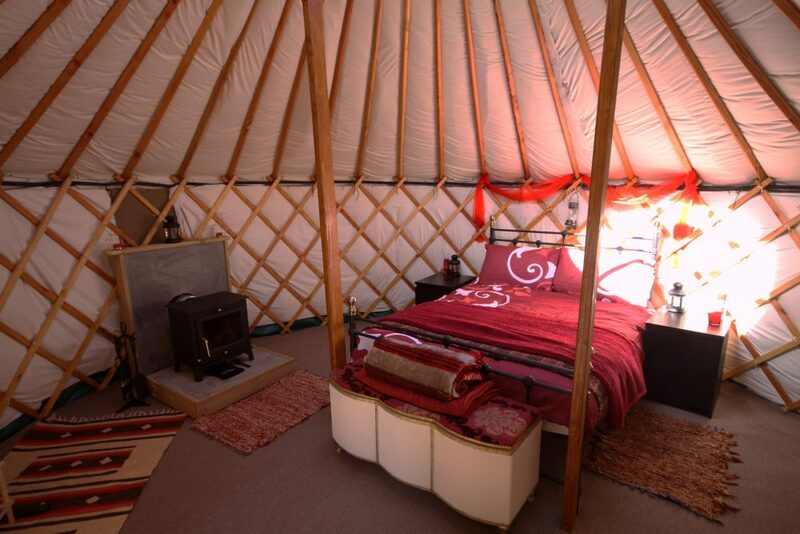 If you’re looking for comfy camping at it’s finest then our element themed Yurts offer a truly exceptional experience. 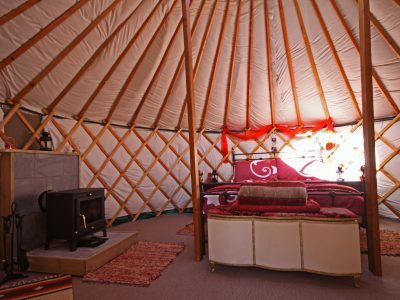 Our Fire Yurt, which is decorated in warm colours to reflect it’s fire theme, provides a stunning retreat that has been perfectly designed with couples and small families in mind. 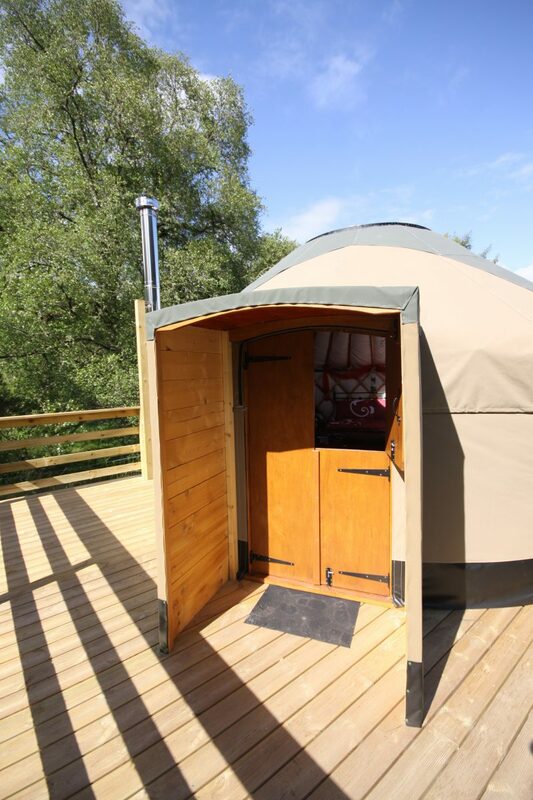 Fully lined and insulated, our Fire themed Yurt is ideal for any time of the year with a log burner for those colder Spring and Autumn afternoons and an outdoor decking area for those long summer evenings. 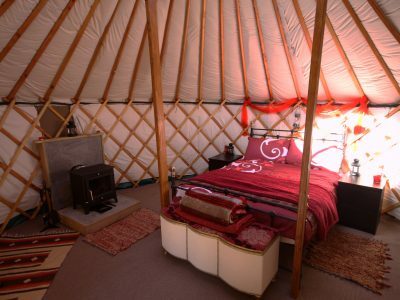 Built in land surrounding our home, the Fire Yurt offers communal yet private accommodation for those wanting to enjoy the peaceful and idyllic landscape. 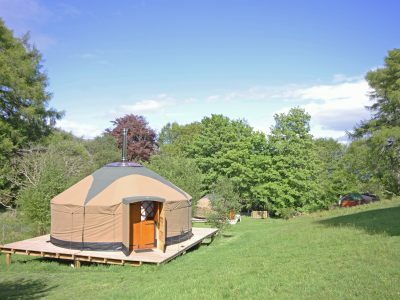 Situated in the breathtaking Isle of Skye where the views with their ever changing light and colour never get old, this really is the ultimate in camping experience. 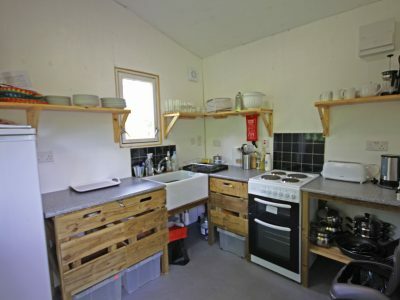 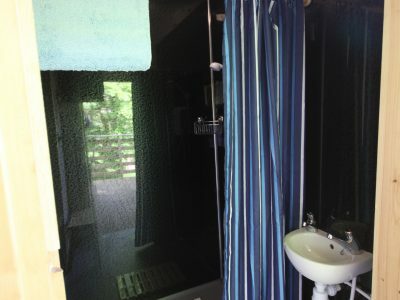 Kitchen : Fully equipped shared kitchen with mains electricity, full size cooker, fridge and microwave. 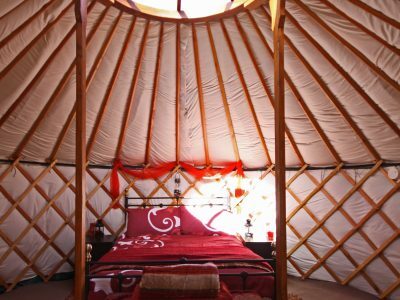 For those looking to explore the island by motor vehicle, the Yurt has designated parking available for more than one vehicle if requested. 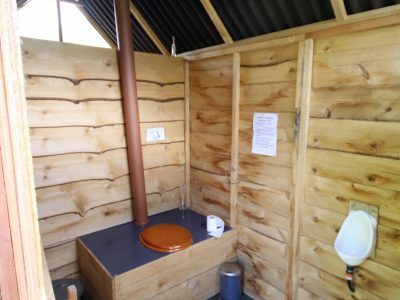 All the on-site facilities, including toilets, shower and kitchen are easily accessed via footpaths to and from the Yurt. 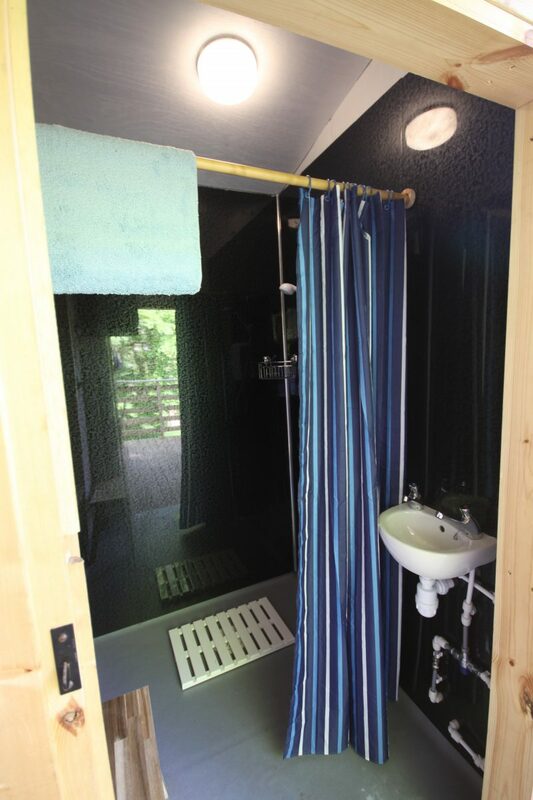 For this reason we recommend that you bring suitable clothing as the Island is notorious for being “misty”. 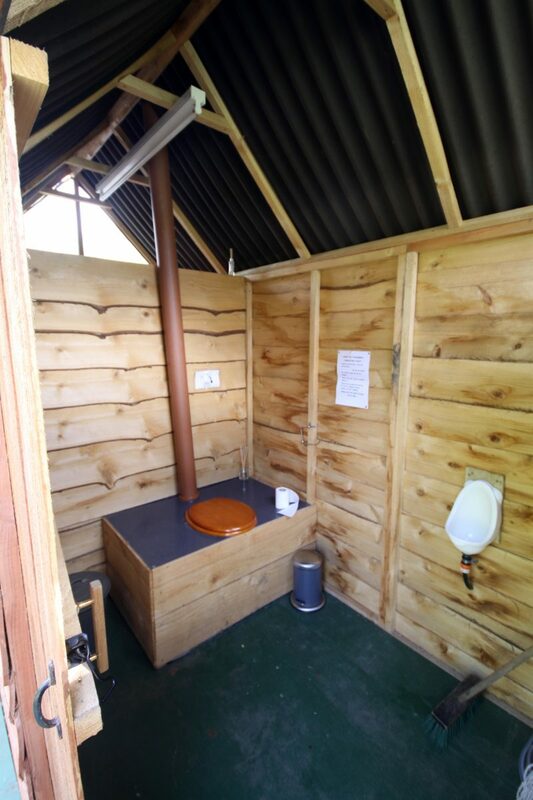 We have made every effort to make the site and it’s facilities as comfortable and accessible to all as we can, but please remember this is still an outside camping experience with some slopes and uneven ground. 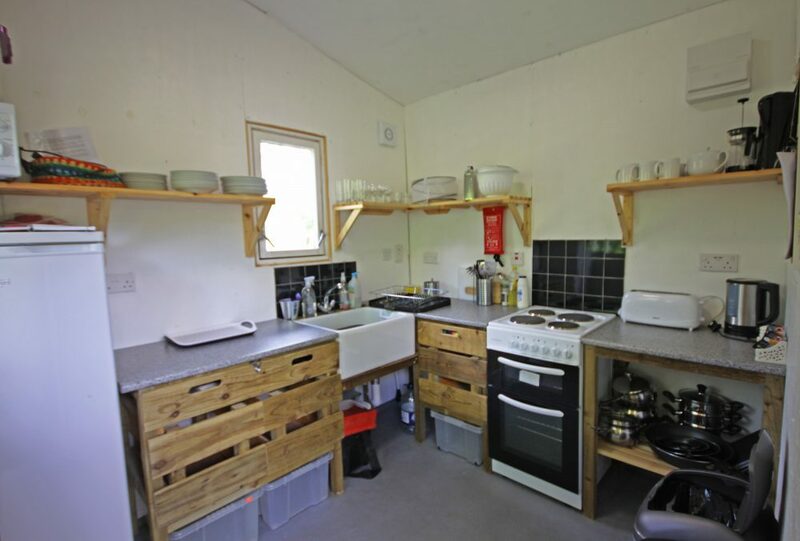 We are ideally located just a short distance from local amenities including a supermarket, petrol station and several restaurants and pubs. 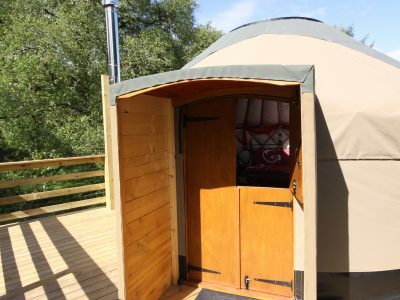 We will happily help you find your way around the Island and advise on trips and excursions to take – just drop us a message when booking your stay or find out more when you arrive!